Llanor doesn’t remember exactly how long she spent in the care of a beloved aunt – somewhere between 6 months to a year. Yet the strong bond that they forged during that time was still evident several decades later, when she turned to her aunt during a another period of transition. 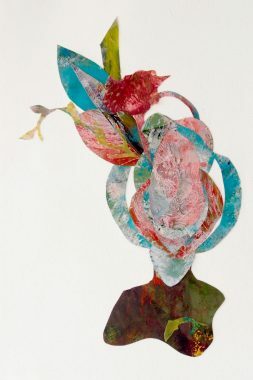 She explores that connection in her collage entitled “I Never Dreamed You Were An Island”.